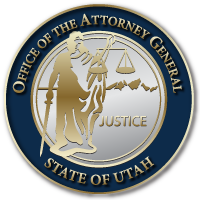 The Utah Attorney General’s Office was highlighted in The Washington Post for launching Rapid DNA, a new DNA testing technology that can analyze evidence samples and provide results to law enforcement in less than two hours. The article did not mention one component that the AG’s Office believes is critical in using Rapid DNA testing. In cases where there may be mixed DNA or a small sample size we have retained Sorenson Forensics, a private third-party company, to review and verify our test results. This is no different than what would happen if any state crime lab tested the same evidence. They are able to provide results in a week or less, which is still far quicker than the typical process. This entry was posted in Recent Posts and tagged Rapid DNA, The Washington Post, Utah Attorney General on December 15, 2018 .